"Every house has a history. This one has a legend." When Bella and her mother move into a new house with her little sister and comatose twin brother the hope is to save money to pay for his medical care. Soon, however, things start to become strange and the unexplained invades every aspect of the family’s lives. Soon her brother suddenly recovers and begins to behave oddly. 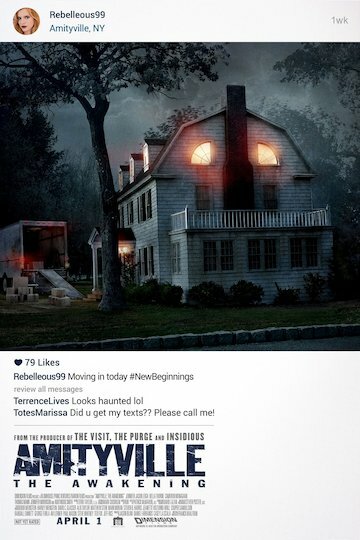 Bella investigates and finds that they have moved into the famous Amityville murder house and that if history is any judge the nightmare may be just beginning. The Amityville Horror: The Lost Tapes is currently available to watch and stream, download, buy on demand at Amazon Prime, Amazon online.